Dr. Parse is a graduate of Duquesne University in Pittsburgh and received her master’s and doctorate from the University of Pittsburgh. She was a member of the faculty of the University of Pittsburgh, Dean of the Nursing School at Duquesne University, Professor and Coordinator of the Center for Nursing Research at Hunter College of the City University of New York (1983-1993), Professor and Niehoff Chair at Loyola University Chicago (1993-2006). In January 2007, she became a Consultant and Visiting Scholar at the New York University College of Nursing, and is currently adjunct professor. Dr. Parse is founder and current editor of Nursing Science Quarterly, and President of Discovery International. She is also founder of the Institute of Humanbecoming. Dr. Parse is a Fellow in the American Academy of Nursing where she initiated and is the past Chair of the nursing theory-guided practice expert panel. In her role as editor of Nursing Science Quarterly, she has spear-headed a well-known, highly cited venue for nurse scholars to share and to debate matters important to nursing research and theory development. For this and her other works, Dr. Parse has received several honors. 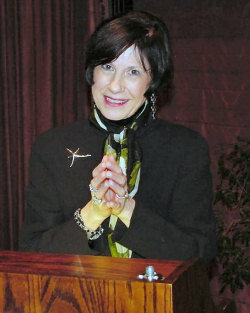 She has been given two Lifetime Achievement Awards (one from the Midwest Nursing Research Society and one from the Asian American Pacific Islander Nurses™ Association), the Rosemarie Rizzo Parse Scholarship was endowed in her name at the Henderson State University School of Nursing, her books were twice named to the “best picks” list of theory books by Sigma Theta Tau International Honor Society in Nursing, and the Society of Rogerian Scholars honored her with the Martha E. Rogers Golden Slinky Award. In 2008 she was the recipient of the New York Times Nurse Educator of the Year Award. Throughout her career, Dr. Parse has made outstanding contributions to the discipline and profession of nursing through her progressive leadership in nursing knowledge development, research, education, and practice. She has explored the ethics of human dignity, set forth humanbecoming tenets of human dignity, and developed teaching-learning, mentoring, leading-following, community and family models that are used worldwide. She has published 9 books and more than 150 articles and editorials about matters pertinent to nursing and other health related disciplines. Dr. Parse is a sought-after speaker who has shared her knowledge and passion in over 300 local, national, and, international presentations and workshops in more than 35 countries on 5 continents. Her works have been translated into many languages, and she regularly consults throughout the world with educational programs in nursing and with multiple disciplines in healthcare settings that are utilizing her work as a guide to research, practice, leadership, education, and regulation of quality standards. Dr. Parse has planned and implemented many international conferences on nursing theory, the humanbecoming school of thought, qualitative research, and quality of life. Dr. Parse has chaired over 40 doctoral dissertations, guided over 200 students with creative conceptualization regarding their research, and mentored faculty members and students working on qualitative and quantitative research proposals, grant applications, and manuscripts for publications. She has conducted and published multiple qualitative research studies about lived experiences of health and quality of life (such as hope, laughing, joy-sorrow, feeling respected, contentment, feeling very tired, and quality of life for persons with Alzheimer’s disease) and taught a variety of theory and research courses in multiple institutions of higher learning, for example, University of Cincinnati, University of Dayton, University of South Carolina and others . Rosemarie Rizzo Parse is an articulate, courageous, and vibrant leader with a strong vision and a deliberate determination to advance the discipline of nursing. She is well-known internationally for her humanbecoming school of thought — a nursing perspective that focuses on quality of life and human dignity from the perspective of patients, families, and communities. Dr. Parse is an inspirational mentor whose diligent loving presence, consistent and willing availability, and respectful and gentle urgings have helped many seasoned and budding nurse scholars to pursue their dreams. Those who have had the honor of working with her, as students and colleagues are honored to know and to have been mentored by this truly outstanding nurse leader.